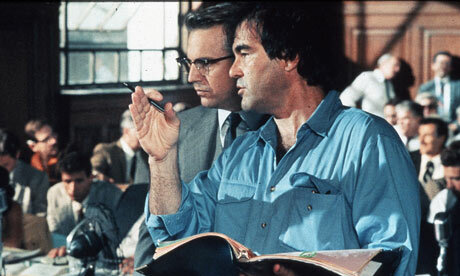 My Favorite Roger: Oliver Stone on Roger's reviews of "JFK" and "Natural Born Killers"
Our ongoing feature "My Favorite Roger" continues with Oliver Stone. I asked the director if he would talk about his favorite writing by Roger Ebert. He asked if he could talk about two reviews in particular, of his films "JFK" and "Natural Born Killers," controversial works that Roger championed. Stone's comments quickly evolved into a freewheeling discussion of the mentality of the artist in the face of criticism, the characteristics of good and bad criticism, and the qualities that made Roger unique as a writer and a person. I've reprinted the entire transcript here. 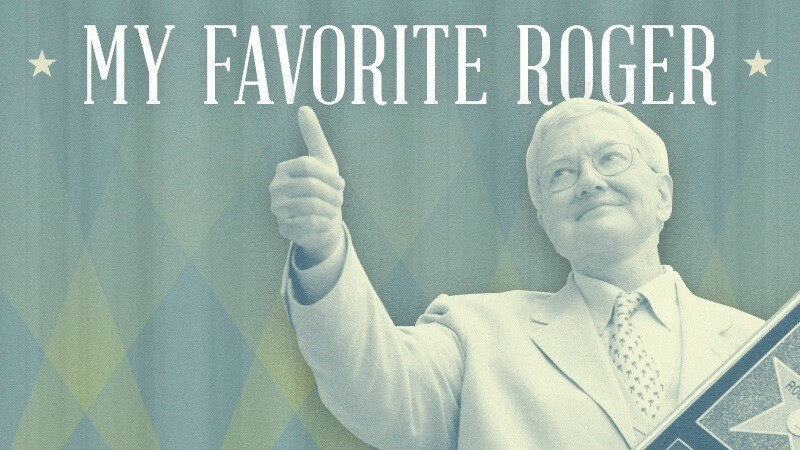 MZS: What made Roger Ebert different from other critics? Stone: I didn’t know Roger personally, but on television I always liked his face. It was a kind face. Whereas with Gene Siskel, who never liked my films, it was a different kind of experience on television! I had a different experience when I met Gene, and it’s always good to have somebody who gives you a different opinion. There's great value in that. But for the most part I felt like Gene was the opposite of Roger. Roger was very warm, and behind those glasses, he was like a friend. And in a world where you’re a young filmmaker and you don’t have, sometimes, the best reviews, as you know, he was one of my earliest supporters. I got to meet him years later, finally, when he interviewed me, after "Platoon" maybe. I found him to be very professional and very friendly, though not overly so. I don’t know how he reviewed the films in between. I know he was very positive on "Salvador." MZS: He was—and on "Born on the Fourth of July" as well. Stone: He loved "Born on the Fourth". I don’t know about "The Doors." Maybe that was a little too wild for him? And "Wall Street." 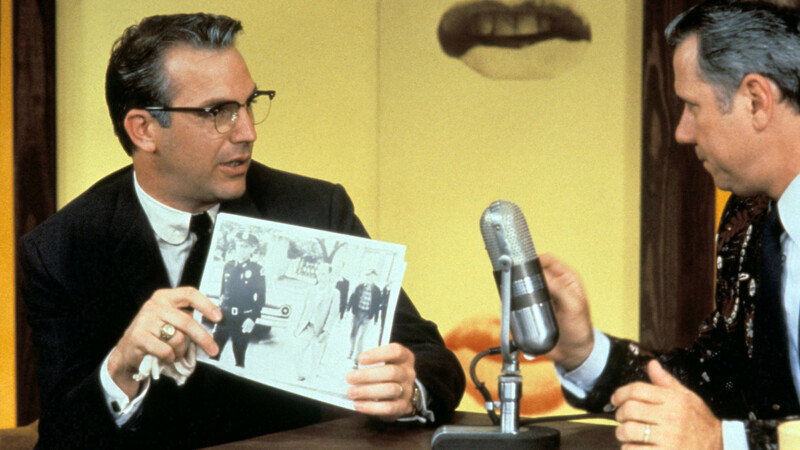 But by late 1991, when I came out with ‘JFK,’ there was a lot of advance publicity, and not of the good kind. There was a dividing line. In a lot of the mainstream periodicals, the mainstream press, it was very negative. Very damaging. Newsweek had a cover. They seemed to enjoy it, in a strange way, but they were also saying, ‘Don’t Trust This Film.’ They were denying the content of it at the same time that they were admiring the technique. The New York Times's critic Vincent Canby was very negative. But you see, no critic at that time had that much information about the assassination, or had read all the books, and therefore it was difficult for them to judge this three-and-a-half hour behemoth, as it were, quickly. MZS: To give readers a bit of context: the film came out twenty-two years ago. I was in college at that time. I don’t recall ever having seen anything on the scale of the media attack against ‘JFK.’ I don't know if anybody did. There had been controversial American films before, of course—films that were attacked in some quarters. ‘Do the Right Thing,’ certainly, and ‘Platoon,’ to an extent. Movies that spilled off the arts pages and onto the editorial pages. But I had never seen anything like the concentrated assault that ‘JFK’ received from almost every branch of the mainstream media. Stone: Well, as I said, most critics did not really have the background to critique the movie in that way. We put out a thoroughly annotated compendium, it was very exhaustively researched, making the case, as it were. But as [critics] were not accustomed to going to this kind of depth of intellectual rigor, a lot of the message was lost, and the messenger was singled out—the messenger being me. I felt that some kind of dividing line had been crossed where my films were concerned. We raised the hackles, to some degree. MZS: The schism that you talk about, between admiring the film technically while attacking it politically, can we talk about that? MZS: In Roger’s review it seems like, in a way, he bridged those two aspects. Stone: As I remember Roger’s review, it was very warm. It said, in effect, “I don’t know what’s true in the film and what’s not, due to its tremendous wealth of detail, but I do know this: the atmosphere of the movie is what I felt at that time. And I think there is a truth to this movie that transcends this delineation of fact vs. fiction. It’s a correct movie in that way, a powerful movie.” That's what I got out of it. Remember, there were debates going on in the press about who said what, who did what, who fired what. Well, you can’t really have those kinds of discussions on TV. It’s all too fast, there isn’t enough time. You need to be able to read. You need long pages. You need to be able to get into it that way. And the experts we had in our camp, they were very good, but they were not being published. We had several experts on our sides, consultants. But for the most part they weren’t being heard. This is why Roger’s review was so important. A lot of people liked [the movie]. Younger critics liked it. But the film was being slighted for its content, which was very important, and Roger gave us some credibility on that front, some attention. I will defend Garrison to the death, and Zachary Sklar, my cowriter, was his editor. [Garrison] wrote two books, and he explained in detail what he did, and he explained what went wrong. His case was one of the first [instances] of bringing action, a suit, against the U.S. government’s covert operations. You can’t do that, especially in the light of a press that was, for the most part, working with the CIA. Garrison was fucked with from day one. It was not an honest trial. His requests for extraditions and subpoenas were denied. His files were stolen. He was bugged constantly. It came out later that the CIA had him on their hit list and did everything possible to defame him. They absolutely denigrated the man, and broke him in some ways. But certainly he was a legitimate district attorney with a good deal of respect. The case: a lot of it holds up. If you read Joan Mellen’s book, there’s a lot of follow-up on that. But people don’t want to go there. They want to ridicule Garrison, as Johnny Carson did on his show. He was the first public official, the only one, to bring charges in the case. It’s important. But [Garrison] was not the only part of the movie. We also took other books, we had four different stories mixed in there. Roger was very supportive of what we were doing, or trying to do. He was very supportive again, at a difficult time, a few years later when "Natural Born Killers" came out. At that time he was very supportive of my films. He came to Hammond, Indiana, when we were shooting "Natural Born Killers" with his wife, Chaz. They spent much of the day watching us film a courtroom scene that wasn’t in the final movie, a scene where Woody Harrelson stabs Ashley Judd through the heart with a pencil. I liked that scene. I wish we’d left it in! But it was a stopper, you know, in the middle of the movie, because of logic. But who cares about logic in a movie like this? I should have left it in! Anyway: Roger’s review of "Natural Born Killers" got the spirit of the film, just as his review of "JFK" had gotten the spirit of that film. We were sued all the way to the Supreme court because of "Natural Born Killers," by insane people who wanted to charge damages for product liability, saying we promoted violence. The case was eventually thrown out about seven years later, but it was ugly, extremely ugly, and once again the messenger was separated from the message. Roger’s review did the film justice. He understood the anarchic style we adapted for the film. It was a subversive film, truly. One of my most anti-establishment films up to that time. And on the heels of ‘JFK,’ it was misunderstood. That film was wild enough, because it goes after a founding myth of the American empire. It says that this president tried to stop what was going on [in Vietnam]. I went back to that theme years later in "Untold History." 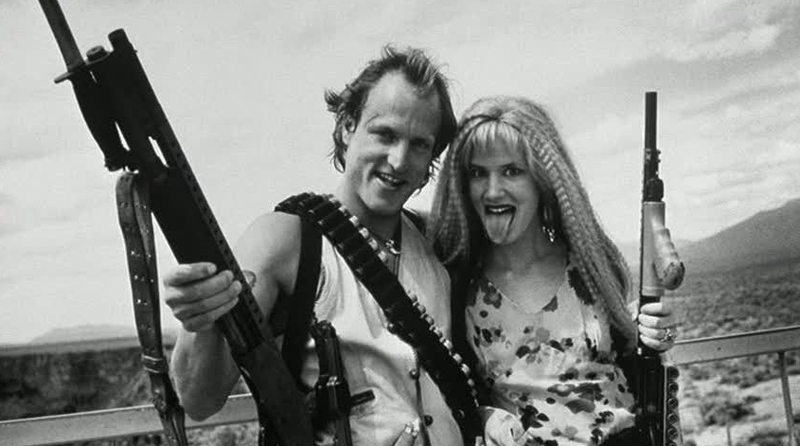 But in this case, "Natural Born Killers," we were dealing with everything that was sick and wrong in this country right at that moment, and with the prison system, the racial inequities, and how those are in some ways a continuation of slavery, and we were putting it all on the screen. And on top of all that, we were making the bad guys the lovers, in an homage to "Bonnie and Clyde," I guess! He got the racial angle. MZS: Liked it? He gave it four stars. Stone: He did? I didn't realize that. Stone: You ask me what made him different from other critics. What marked Roger was love. A sense of love for this craft, a love for movies, and for watching movies, that was deep and spiritual. That’s why he loved Marty [Scorsese] so much, because Marty was very spiritual about it, like a priest. Roger had a bit of that. Even if he didn’t care for a film, he would write his review in a way that did not excoriate the filmmaker, it seems to me. MZS: Well, not every filmmaker! Stone: Well, I haven’t read every review. But I mean, he never did that to me. "U-Turn" was one of the first films of mine that he ever lambasted. But be that as it may, he wrote the pan not with contempt in his heart, but with a sense of, "I wish that I had liked this film more." For some directors, a negative review can make you feel like, ‘My God, I should never work again. This person hates me so much.’ But what we need is a sense of freshness on the part of the critic. You don’t want to feel that you’re being judged each time based on your past work, or on somebody’s preconceived notion of who you are, or should be, based on this and this and this, and therefore he’s great, or he’s terrible. You as a critic do a filmmaker no favors if you praise an unworthy film, a film that could have been so much better. But at the same time, if the film is really worthy, you can undermine the filmmaker by going against him because you did not like his past work. You can excuse bad work, and damn worthy work. This is not a good system. Some critics review all my films alike. They don’t differentiate. That does hurt. You want to have a fresh start. You want to clean the board and begin again. You want to renew, above all else, your thought process and style, so that when you come at a subject, you don’t have any preconceptions. That’s so important. So important! Just watch the movie. You can look for traits in an auteur work, I guess: “This reminds me of this, this connects with this.” But do it freshly! Stone: If it’s a tired theme and it gets on your nerves, tell them so. Tell the filmmaker so! But do it with love. Do it with heart. Because it hurts. That’s what I remember about Roger. His compassion. His love. The love he had in his heart. His resilience in the face of sickness during those last years was just unbelievable. The love came through. Next Article: The Wes Anderson Collection, Chapter 2: "Rushmore" Previous Article: The Wes Anderson Collection, Chapter 1: "Bottle Rocket"